KOM Consultants is the official Canadian representatives and application centre for 11 Australian OT Occupational Therapy Schools throughout Australia and the UK. We have been carefully selected by these Australian universities to be your point of contact and application centre here in Canada assisting you through all your university application needs. Canadian applications and supporting documents to the following schools are submitted through KOM Consultants. 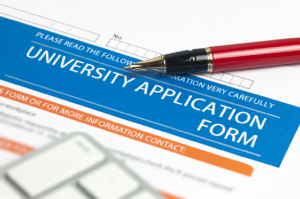 IMPORTANT NOTE – By completing and submitting this online application you are authorizing KOM Consultants to represent and submit your university applications to the institutions selected within this online page. Students submitting their applications through KOM Consultants will have full access to all our resources and support throughout the entire process making your transition overseas as seamless as possible. Upon submission, a friendly KOM Occupational Therapy Admissions Officer will be in contact guiding you through the process of supporting documents and additional information required (if necessary). If you have any questions in the meantime, please don’t hesitate in contacting our Admissions Team – Toll Free at 1 877 318 8203.